From Asia to the States, obviously passing through Europe and Australia, the Gigglepin brand is universally recognized as synonymous of high performance winches. Here the story of Gigglepin and the presentation of the extraordinary new GP100. As we speak of winches we enter in a large universe dotted with various types of products and brands. There is also a very narrow niche of high-performance winches, specific for extreme competitions, that all have the glorious Warn 8274 as their ancestor. Just from the famous winch of the Oregon company (USA), the idea of English Jim Marsden to found Gigglepin Winches. But let's hear from the words of Marsden how everything was born. "In 1997 my boss moved to Wales and I had a stark choice, move to Wales or find another job. I tried living in Wales and it was great fun, but my girlfriend and family were in Kent and after 4 months I was back home in England. It was then I decided to go for it and start my own company repairing Landrover’s. In October 1997 Gigglepin 4x4 opened its doors for the first time. It was a tough time, but my friends and family were great and I worked hard. Two years later I expanded to larger premises and employed my first mechanic. It was a good time, I lived and breathed Landrover’s. Then in 2000 I travelled to Sweden with two friends to take part in the Swedish offroad tour. With a Landrover loaded with beer and a couple of tents, we set off for adventure. Over the next 10 days we meet some cool people that would have a profound effect on me. I had caught the travel and offroad bug and I was hooked. I came back from Sweden and sold my then dream car, a 3 year old Defender 90 300 and bought a 200TDI Defender 90 SV; it had a roll cage and winch which made it perfect for my new found enthusiasm. In September of 2000 I entered my first event, the Belgium National. With five vehicles, two from Hungary, two from the UK and one from Holland, it was a truly international team and we went on to win the XXtrem category and the Team spirit award. On returning home I set about modifying my SV Defender and started racing, I was totally immersed. I worked hard to find every advantage, using skill and invention as money was tight. Then in 2003 I broke my Warn 8274 winch while defending my Tough Trucks title. I was devastated and vowed to repair the winch, make it stronger and more powerful. At that time I had no idea that it would lead to Gigglepin growing to be a global brand and market leader." 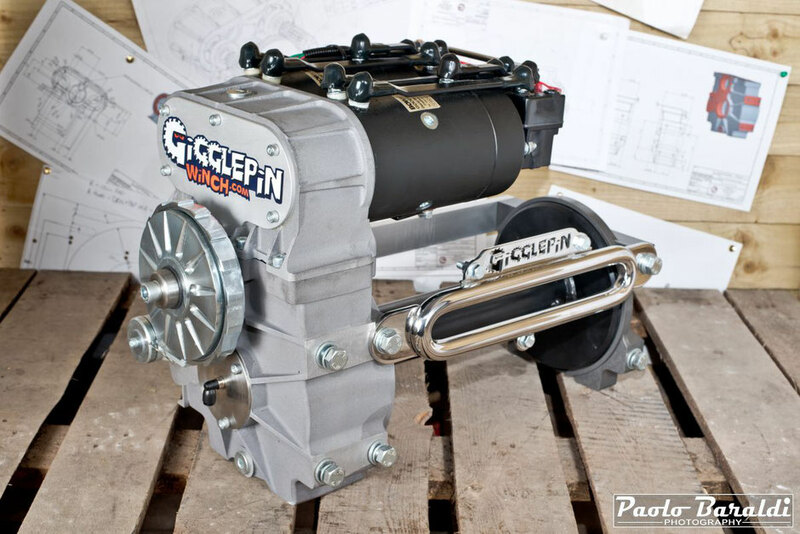 As Jim told us, the Gigglepin 4x4 is more than twenty years old and the beginning of the Gigglepin Winches story dates back to 2003 with the upgrade for the 8274 up to the design and construction of a high performance double motor winch: the GP80, followed by the GP84 until the last GP100, presented in 2017 on the occasion of the twentieth anniversary of Gigglepin 4x4. The strength of the Gigglepin winches is definitely the same Jim Marsden. 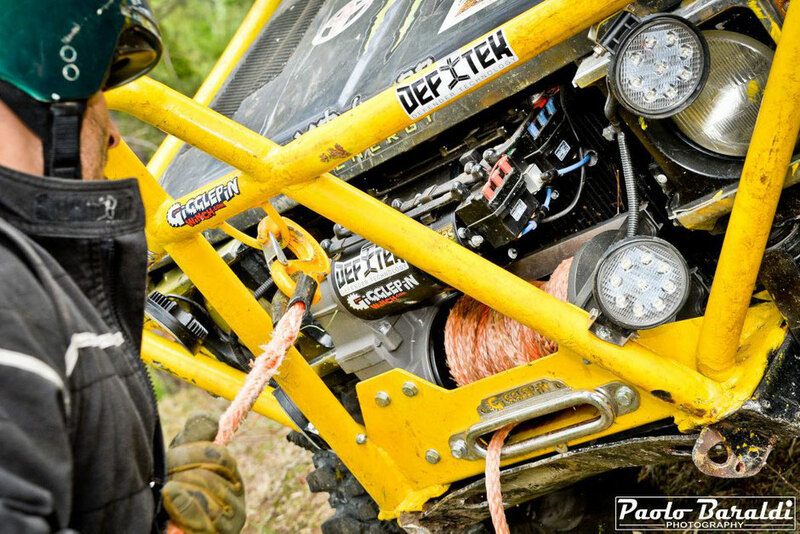 As we have seen, everything was born from a personal need in competitions and to this day every improvement, innovation or new winch is tested in the toughest extreme European races by Jim himself. Jim Marden, today is one of the most famous offroad drivers and internationally titled. 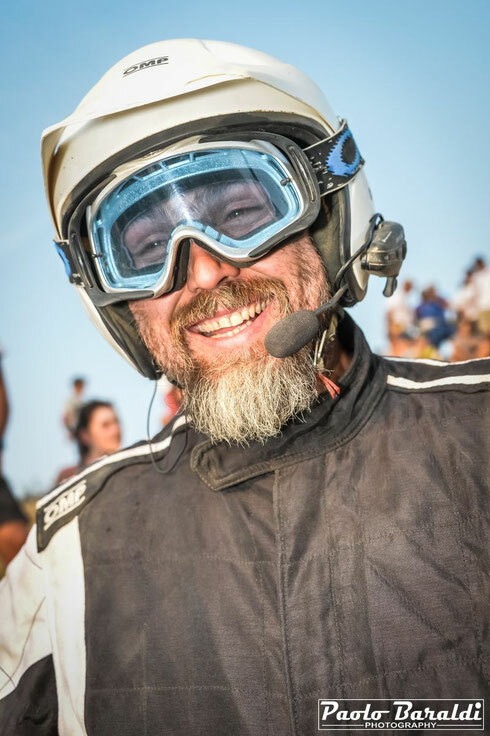 From the Breslau to the King of the Hammers, obviously passing through the Croatia Trophy and the Xtreme Challenge, his fame has grown along with his experience as a winch builder so much so that there are numerous teams from all over the world who choose Gigglepin Winches. In Italy, Giggplepin Winches is represented by Deftek of Ferdinando Bartolucci. Even Bartolucci comes from a long history of offroader: from the Italian races of extreme to the Ultra4 Europe championship. Jim Marsden is very precise and fussy when it comes to his winches. In his workshop he has a register, which we have seen with our own eyes, where he records the whole history of each winch sold. For this reason, Jim has pretended that Ferdinando Bartolucci before becoming his dealer spent a period of time in Gigglepin to know all about these winches and to become familiar with the same in order to work on them without problems. The current flagship product of the Gigglepin Winches is the GP100, presented in January 2017 on the occasion of the twentieth anniversary of the company and that we have practically seen its debut during a visit to the Gigglepin 4x4. The GP100 is a real innovative product in this sector. "It's strong", says Jim Marsden, "it's light and built with legendary Gigglepin reliability." The GP100 is available with 5 different ratios and three different drum lengths. "It is in a class of its own and has raised the standard in High Performance Winching. The GP100", explains Marsden, "is lighter than 4 kg compared to the GP80 and lighter than 10 kg compared to the Twin-winches Motor of the other producers. Before being put on the market, it has been successfully tested by winning the Welsh Xtrem with Allen Sharp and Ben Turpie (Gigglepin Racing team) and winning the first three places at the hard Xtrem Challenge Portugal." - 18 symmetrical M12 mounting locations with deep threads for total winch security. 6 mounting bolts are supplied as standard - if you require an additional set of 6 bolts, please select in the 'Options' tab above.